A recent campaign prompts questions around the role of "foreigners." In a globalized world, being "foreign," either as a brand or an individual, means a lot less than it once did. Yet "foreigners" still serve a specific purpose in Japanese advertising, even if their role is evolving. 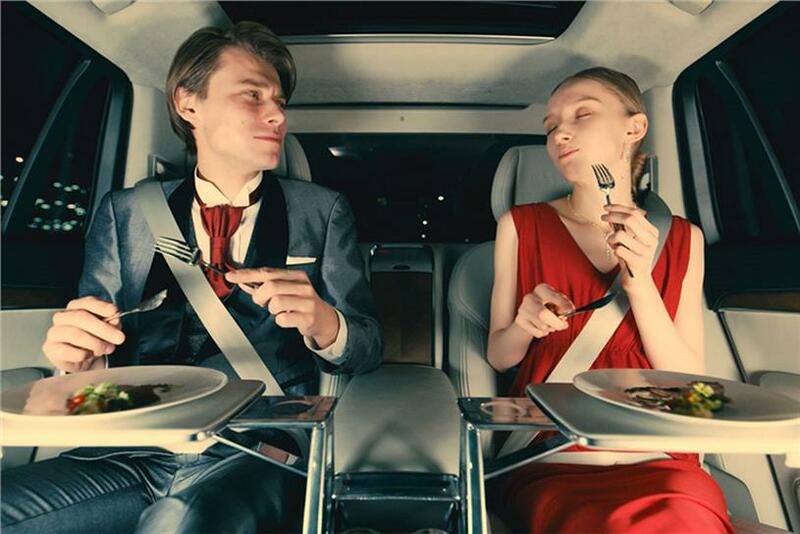 In a recent piece of work by Dentsu for Volvo and Uber Eats, a sophisticated (if somewhat '1980s') Caucasian couple is shown savouring a seven-course menu in the back of a black vehicle. The video is aimed at a Japanese audience—so why not feature a Japanese couple? A spokesperson for the work explained the aim was to remove the situation "as much as possible" from daily Japanese life: in other words, Western models signify a "special" event. In 2017, such logic is open for debate, and indeed there appears to be little in the way of research around how Japanese consumers perceive foreign versus Japanese protagonists in advertising. Dentsu, Hakuhodo and ADK (Japan’s largest agencies) were not able to point to any large-scale findings on the topic, indicating that the decision to use foreign "talent" for an ad rests largely on gut feeling. Yosuke Hiraishi, a creative director at Dentsu, says it comes down to the campaign’s agenda and what it’s designed to make consumers think. In some cases, using a foreigner can still amplify the effect of an ad, he says. But he admits the novelty that once came with foreign protagonists has diminished. Even Hollywood stars need a reason for being these days, Hiraishi says. They can no longer simply be symbols to admire, but must play concrete roles. He presents Tommy Lee Jones’ long-running alien character for Boss coffee, and the more recent appearance of Justin Bieber in a SoftBank campaign targeting high school students, as examples where the celebrities serve to add interest to an existing storyline. Still, the question remains, when to use Bieber and when to use a member of Arashi, for example? Omri Reis, a senior research executive at Flamingo Tokyo, says while there may not be accurate science behind it, the "familiar-unfamiliar scale" can work as a good guide. For products that are more intimate, such as beauty and hair products, he says, consumers prefer to see Japanese models, "since they might feel their hair or skin will never look like a foreigner’s anyway." That is understandable. In recent years, however, a middle ground has emerged whereby more advertisers, particularly in the beauty and cosmetics space, use "haafu" (half-Japanese) models to add allure without going too far. For products that promote some form of exotic lifestyle (as in the Volvo/Uber Eats promotion)—but importantly, also to some extent those with universal appeal—fully foreign models are more likely to appear as a means of adding interest. In conclusion, in spite of globalization, "Japanese people [still] definitely see their life experience as different than that of foreigners," says Reis. In advertising that deals with issues close to people’s hearts, he adds, "it would be unwise to use a foreigner."